Park Muffler Radiator Brakes & Tires provides customers with complete automotive electrical system repair service. The mechanics at our Edmonton area automotive repair shop understand the technology for auto’s electrical systems have become much more complicated than in years past. The electrical system in your automobile controls a wide array of parts in your car or truck, to include wiring and circuits, starting and charging systems, windows and mirrors, dashboard instrumentation, lights, anti-lock brakes, and more. If you have problems with your vehicle starting and troubleshooting has eliminated the battery or starter being the problem then it may very well be the electrical system causing the problem in your automobile. 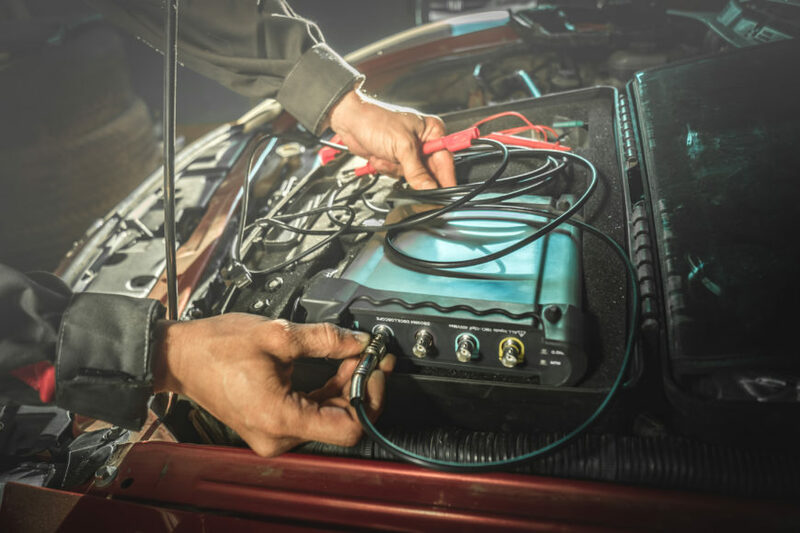 Our technicians are fully trained and qualified for an array of your automotive electrical repair needs. Park Muffler employs the most modern diagnostic equipment to locate and fix your automotive electric problem. Park Muffler Radiator Brakes & Tires can diagnose and repair your vehicles electric problem and have you back on the road driving with confidence again. Give us a call today!